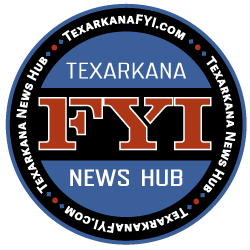 The Texarkana Texas Police Department is working a fatal accident at New Boston Road and the Loop. One man was killed and his wife and four grandchildren seriously injured. We are on the scene of a fatal crash on Piney Road, just south of New Boston Road. Randy Smith, 62, of Texarkana AR, was pronounced dead at the scene. His wife and four grandchildren were all injured and transported to Christus St. Michael Hospital. It is not believed that their injuries are life threatening. Mr. Smith was northbound on Piney Road in his Ford Pickup when he left the road. 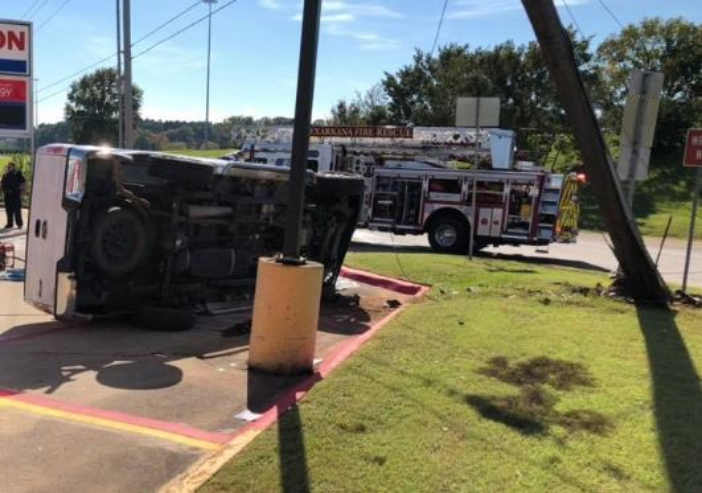 After he struck a curb, the truck flipped on its side and hit a utility pole, breaking it in two. 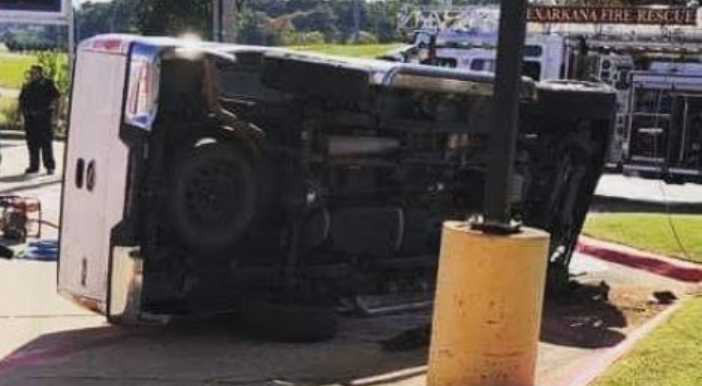 It appears that Mr. Smith had a medical episode as he was driving that may have caused the crash. However, the crash remains under investigation. Yes, prayers for the injured and family. As a local blogger, I want to say how much I appreciate how our local police departments are so sincerely caring, in the way with a media post they will express their true sympathy and faith. I am proud of that, and all they do for us.